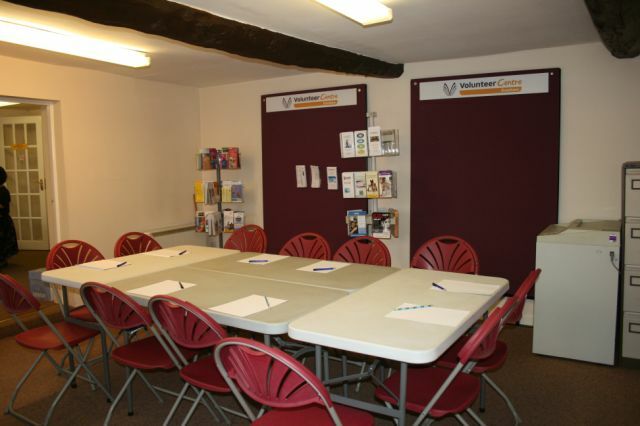 Evesham Volunteer Centre has a ground floor meeting room which is available for hire. The room has one step down from the reception office. 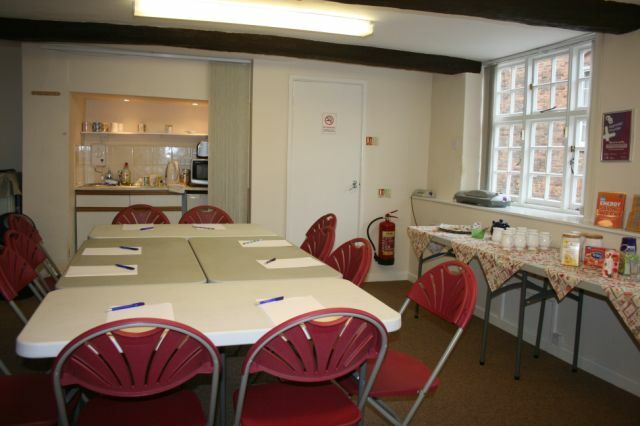 Facilities include a kitchenette for preparation of drinks, notice boards, and a WC in the corner of the room. 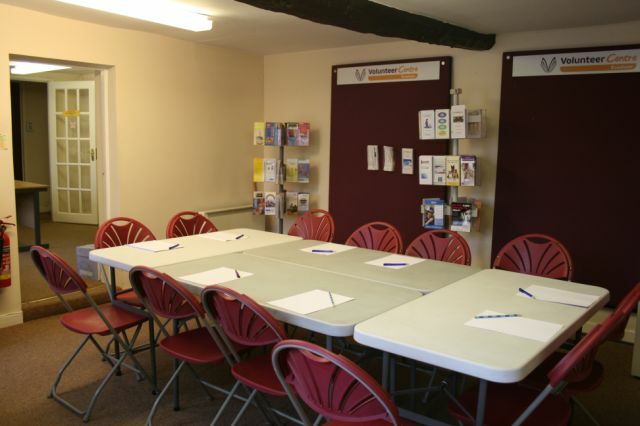 Call us on 01386 40165 for details of our hourly, morning, afternoon and full day rates.